When will be The Real Jesus of Nazareth next episode air date? Is The Real Jesus of Nazareth renewed or cancelled? Where to countdown The Real Jesus of Nazareth air dates? Is The Real Jesus of Nazareth worth watching? Actor Robert Powell, star of the TV miniseries "Jesus of Nazareth," is on a journey across the Holy Land to discover the real story of the role he played decades ago. Guided by the Gospels and the latest archaeological and historical research, Powell will travel to Israel, Lebanon, Syria, and Egypt. With the help of scholars and theologians, he will examine Jesus's lost adolescent years, the start and growth of his ministry, and his death and believed resurrection, which would spark the birth of one of the largest religions on the planet. 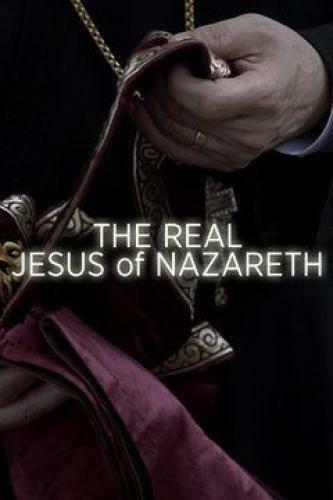 The Real Jesus of Nazareth next episode air date provides TVMaze for you. EpisoDate.com is your TV show guide to Countdown The Real Jesus of Nazareth Episode Air Dates and to stay in touch with The Real Jesus of Nazareth next episode Air Date and your others favorite TV Shows. Add the shows you like to a "Watchlist" and let the site take it from there.